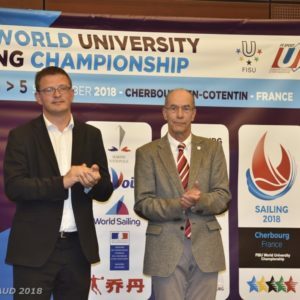 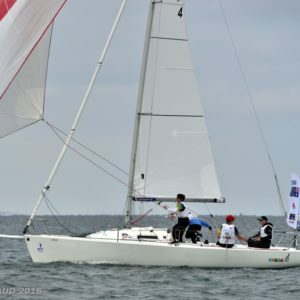 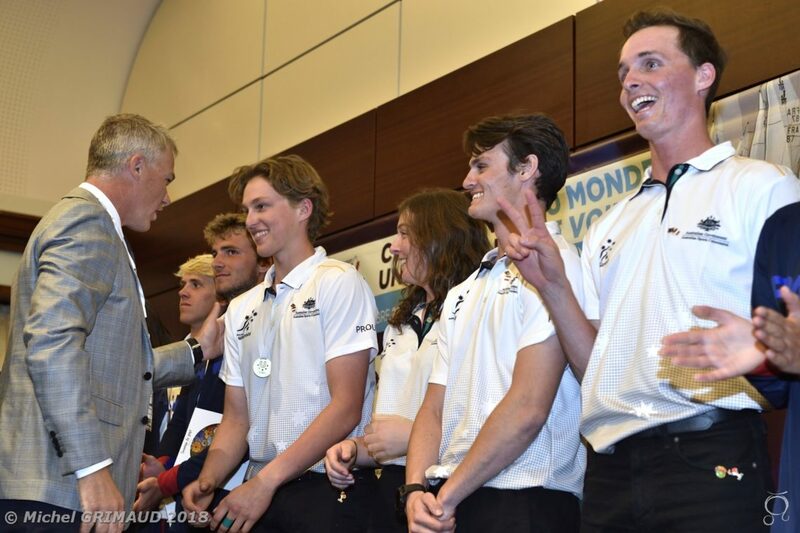 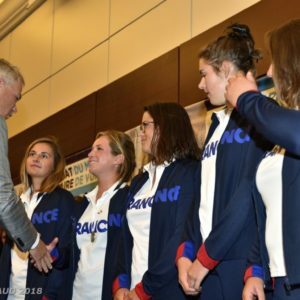 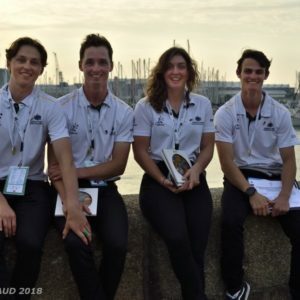 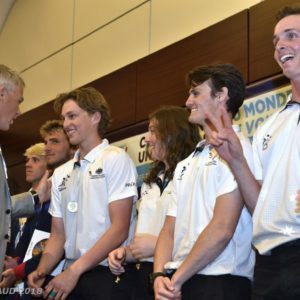 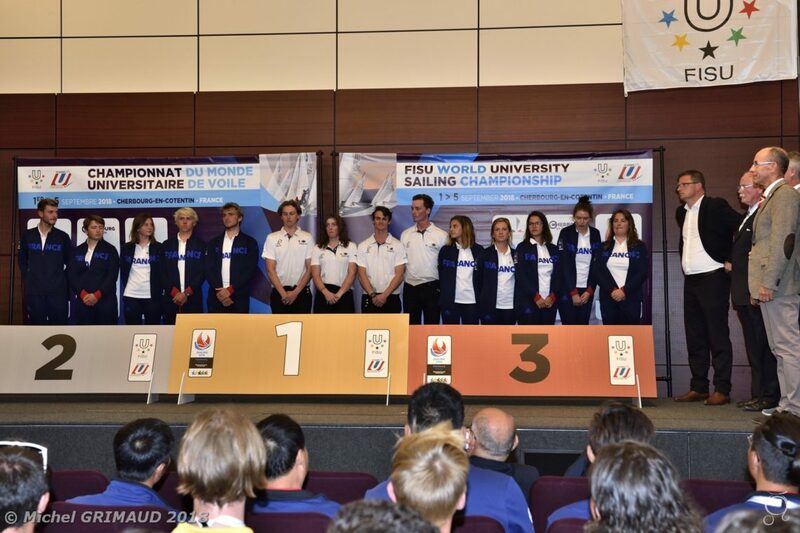 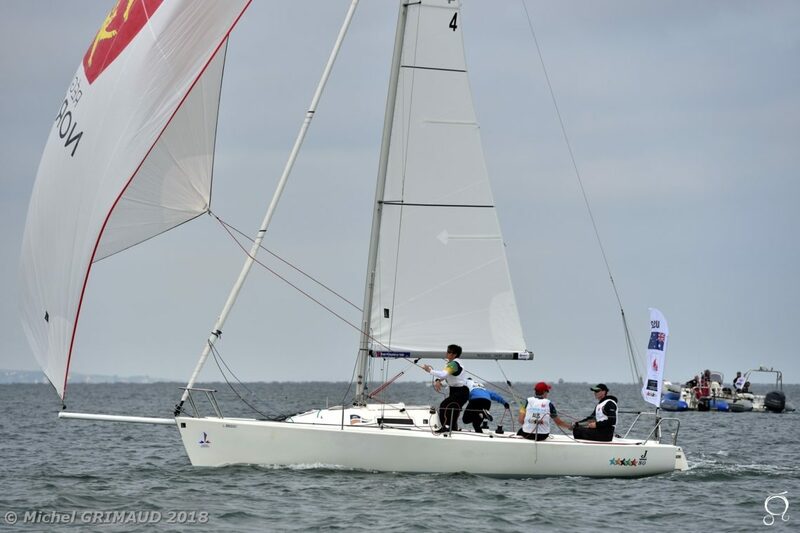 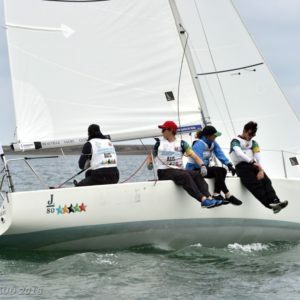 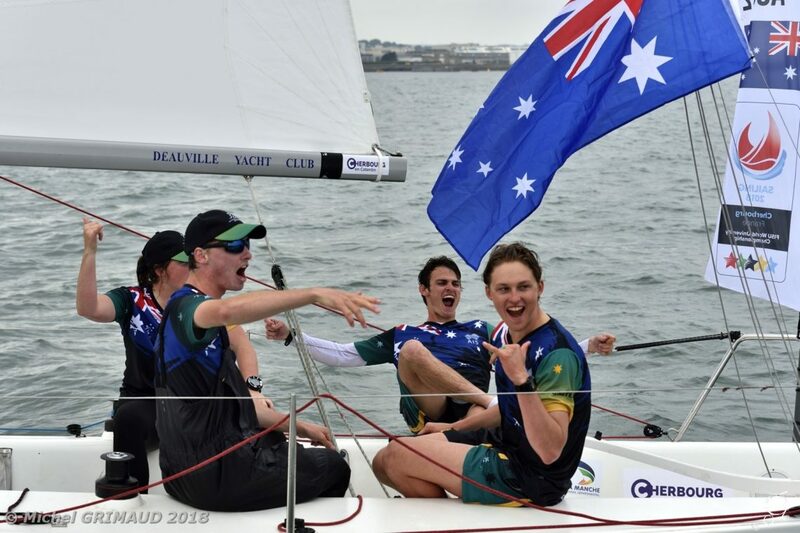 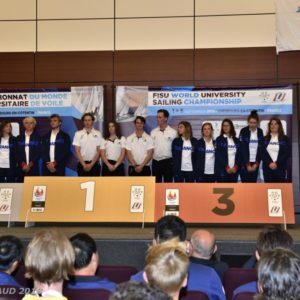 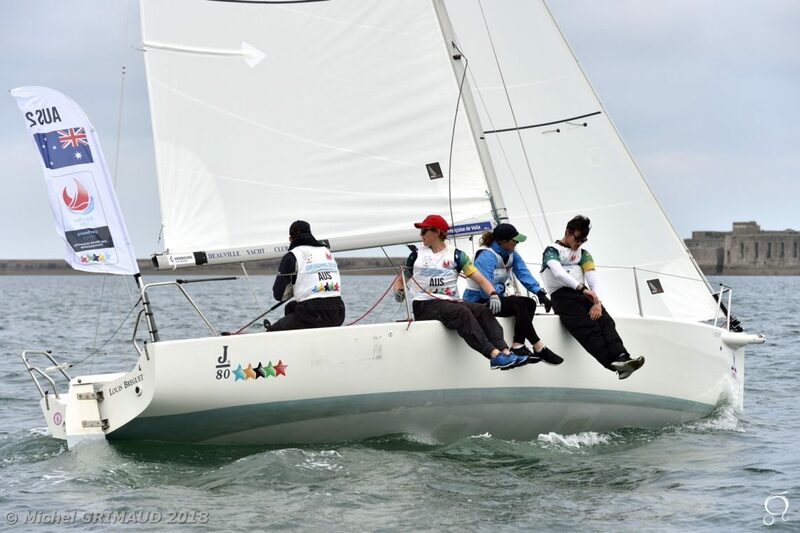 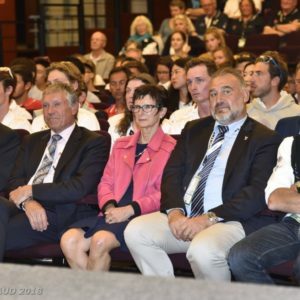 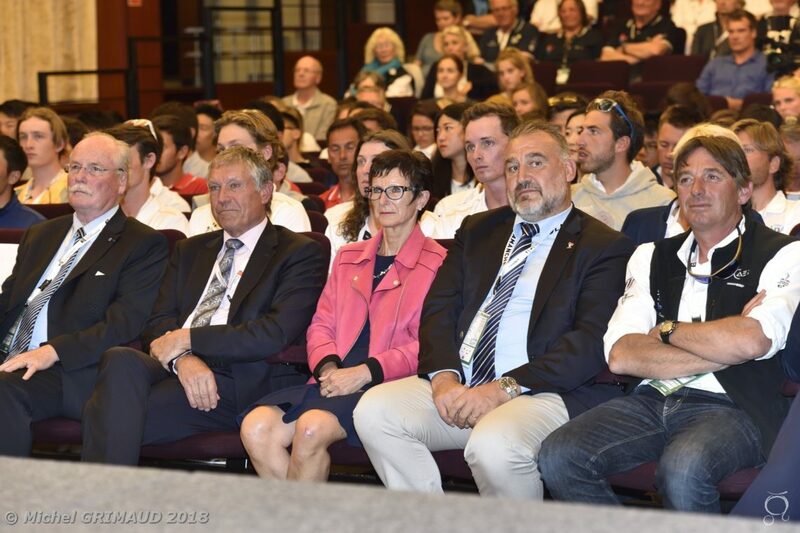 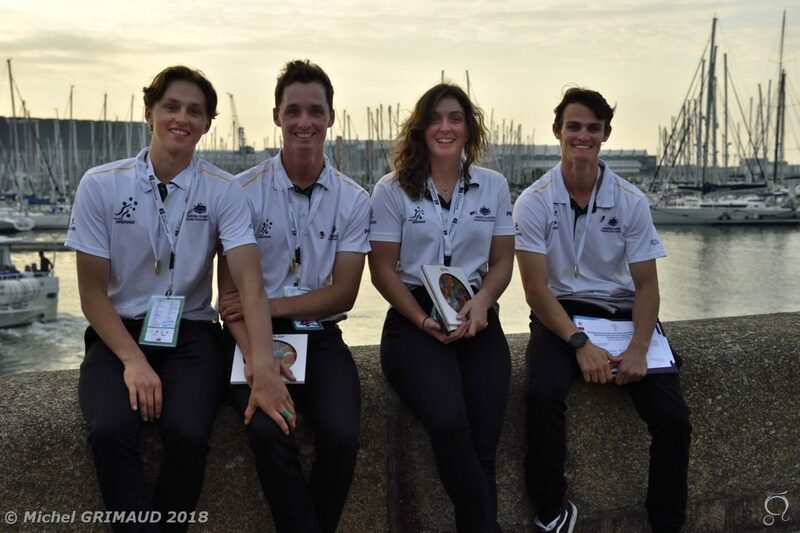 It is at the end of the suspense that the Australian team succeed in this WUC Sailing 2018 in Cherbourg-en-Cotentin! 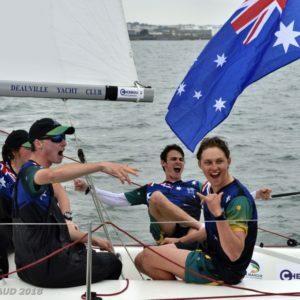 Australia keeps its title of champion of World won at home, in Perth, in 2016, thanks to the Thomas Grime’s AUS2 crew which knew how to keep a regularity without fault during this competition, giving them the bit extra which make the difference. 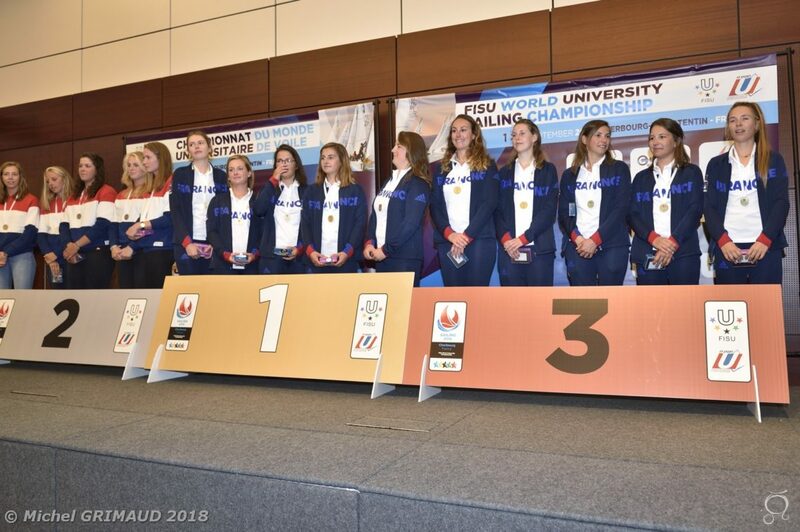 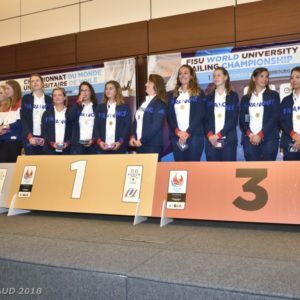 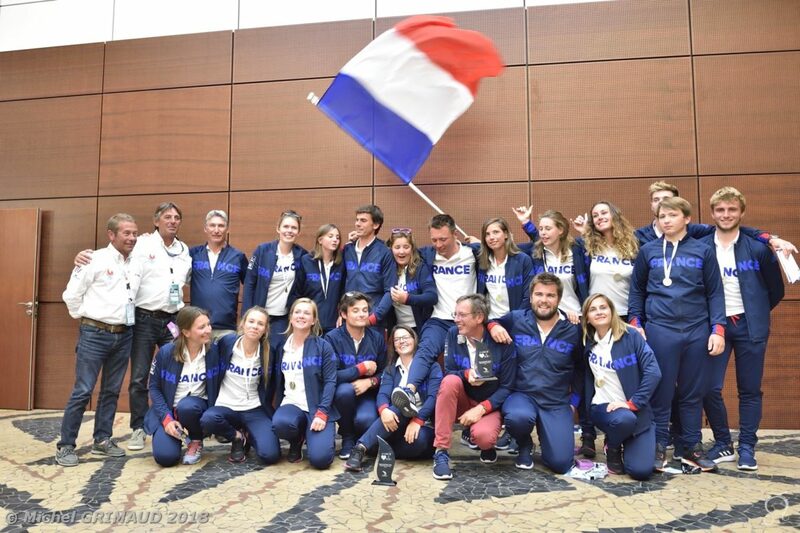 The French team realized a magnificent performance with one doubled on the podium. 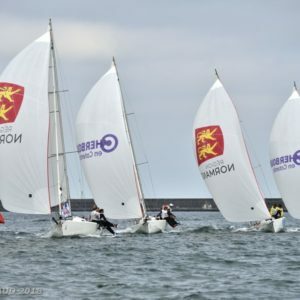 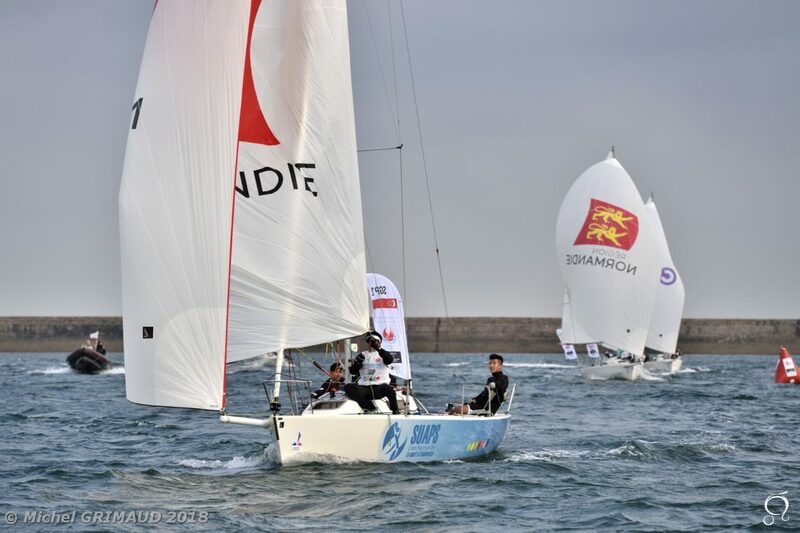 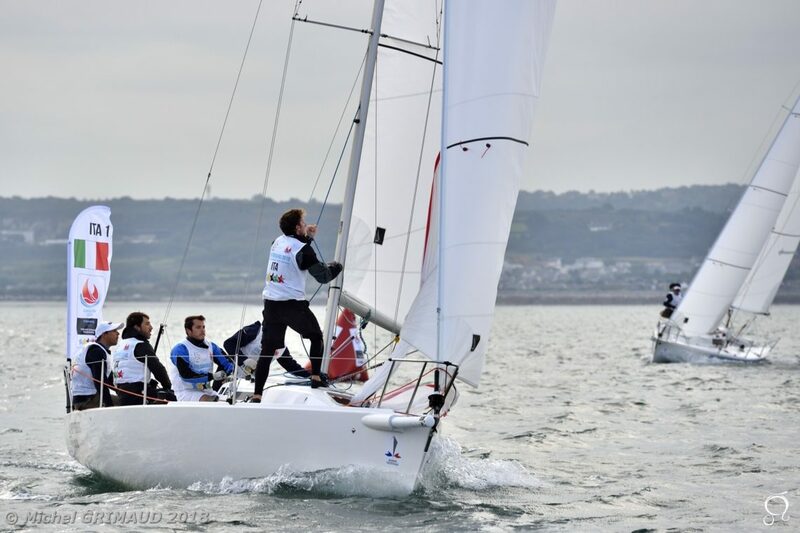 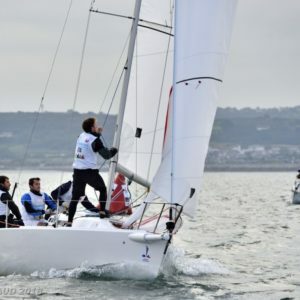 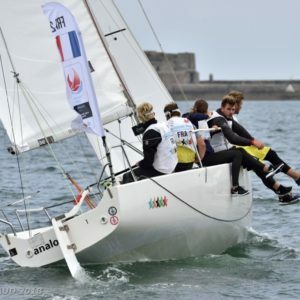 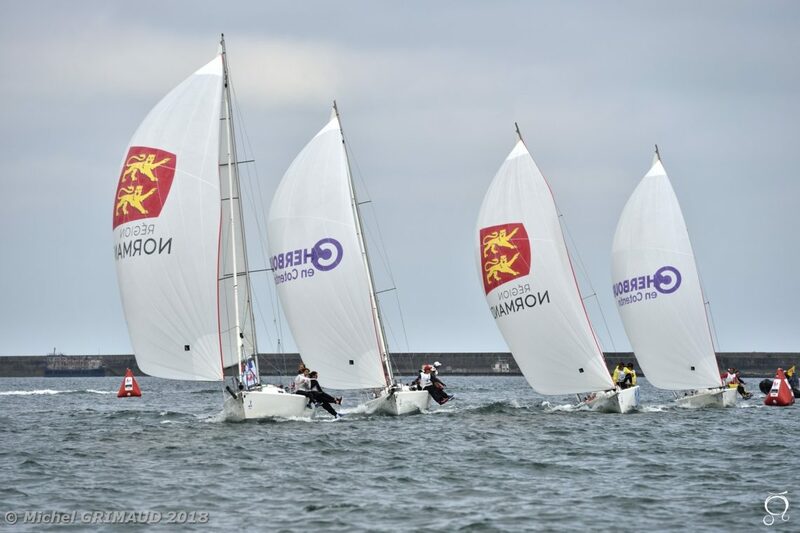 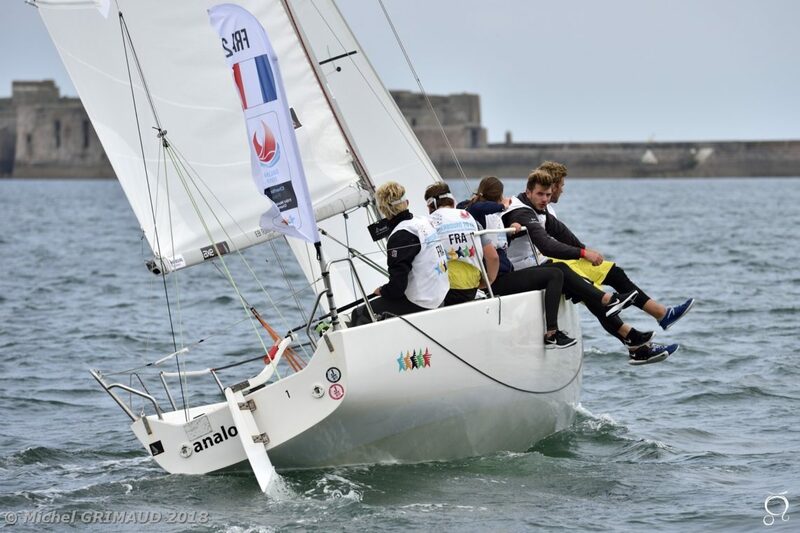 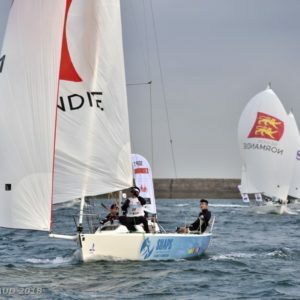 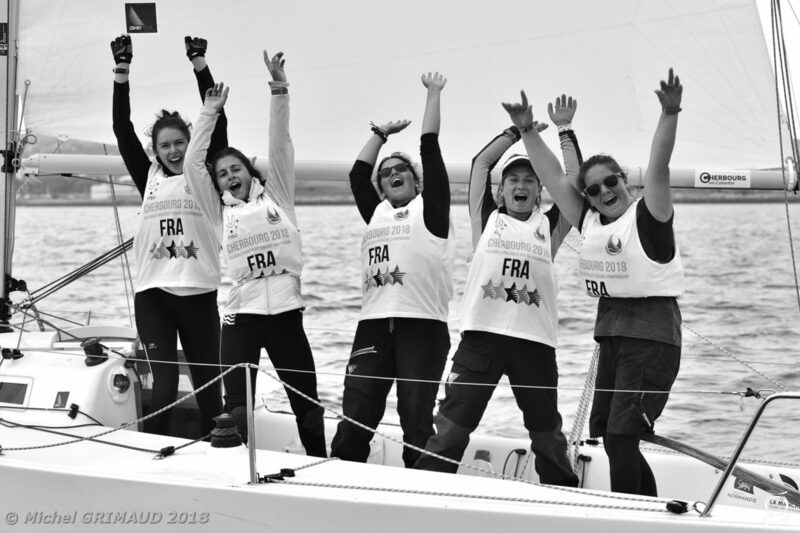 The young Normans of FRA2, and thier skipper Pierrick Letouzé count only 2 points of gap with the winners but also realized an incredible competition! 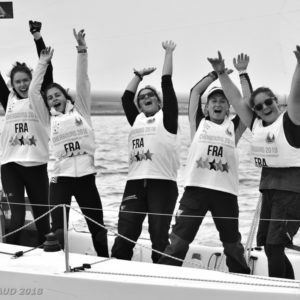 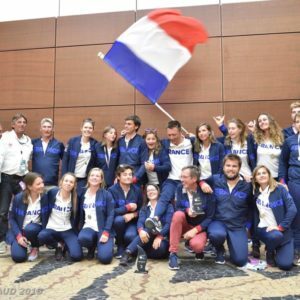 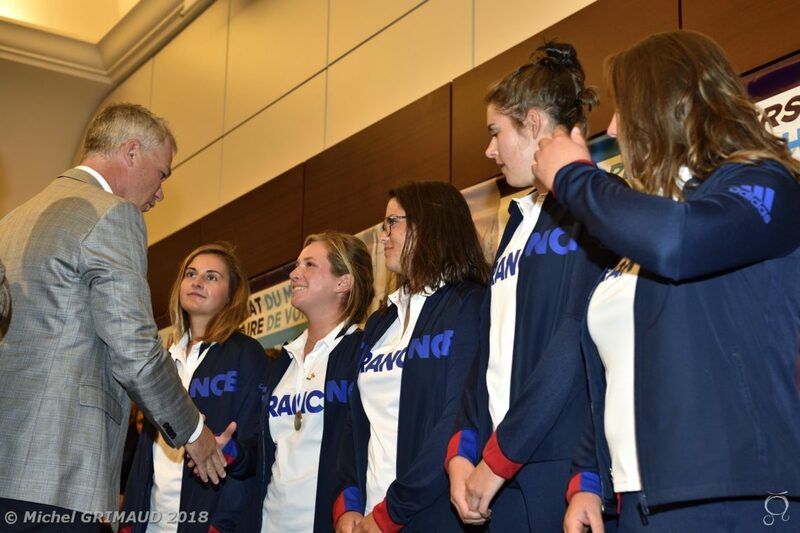 The women crew oand her skipper Elodie Bonafous is also in the firmament because they leave with a bronze medal in the category Open and a gold medal in the Women competition! 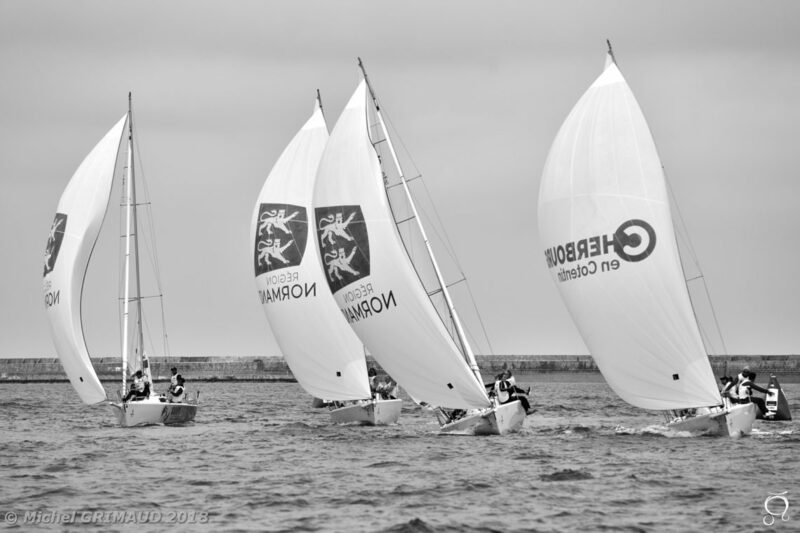 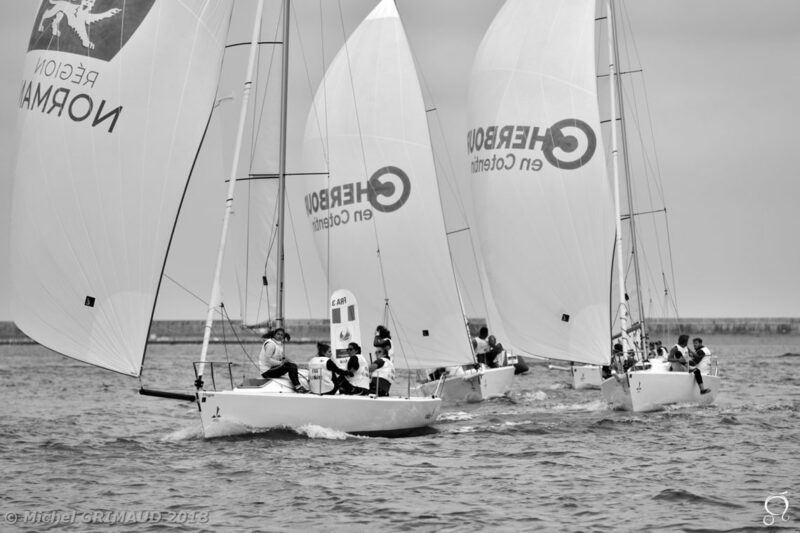 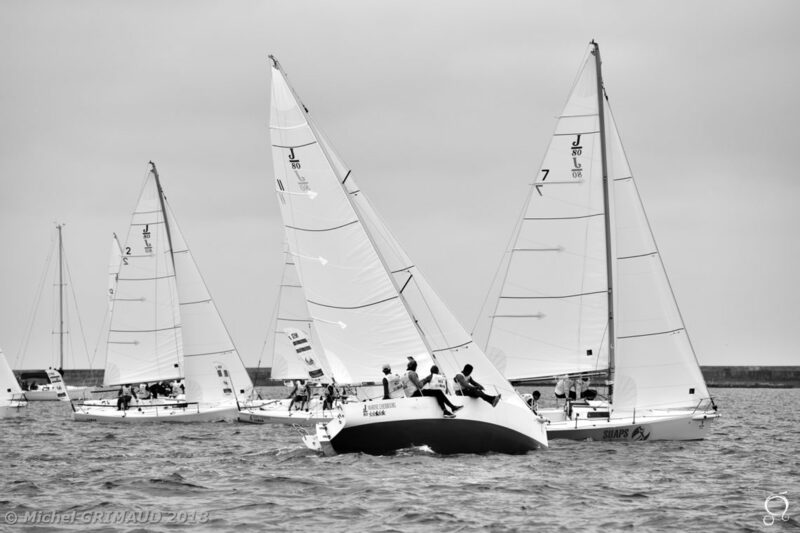 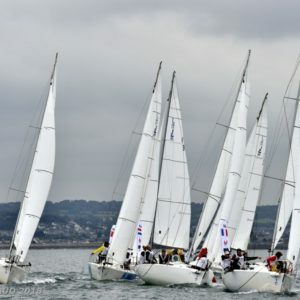 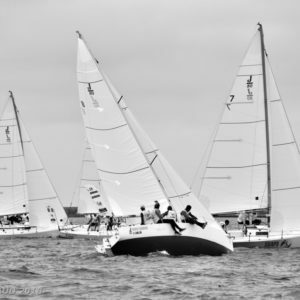 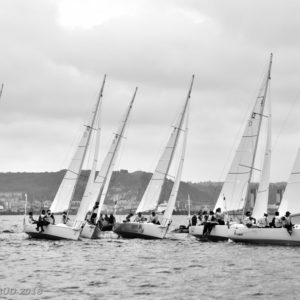 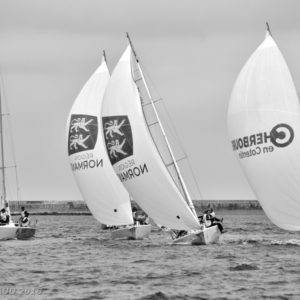 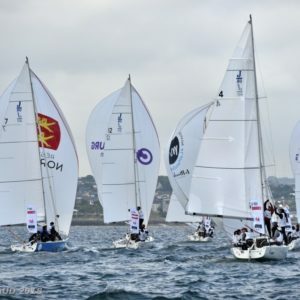 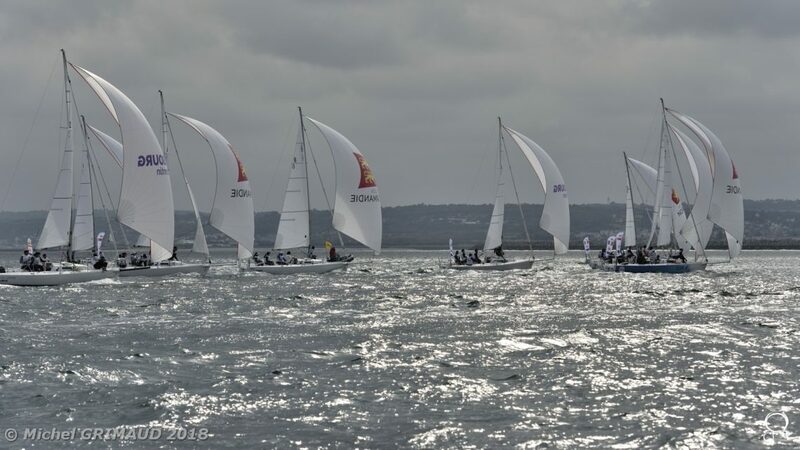 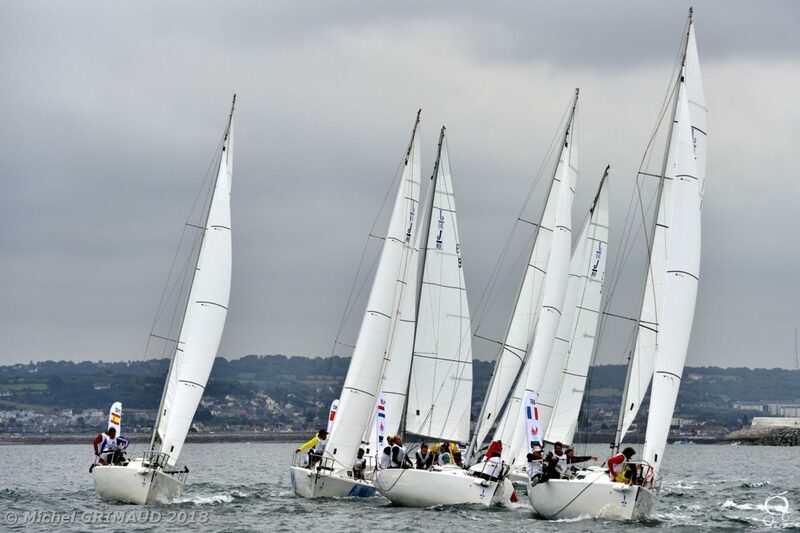 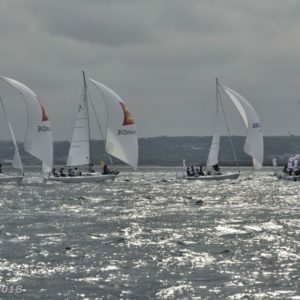 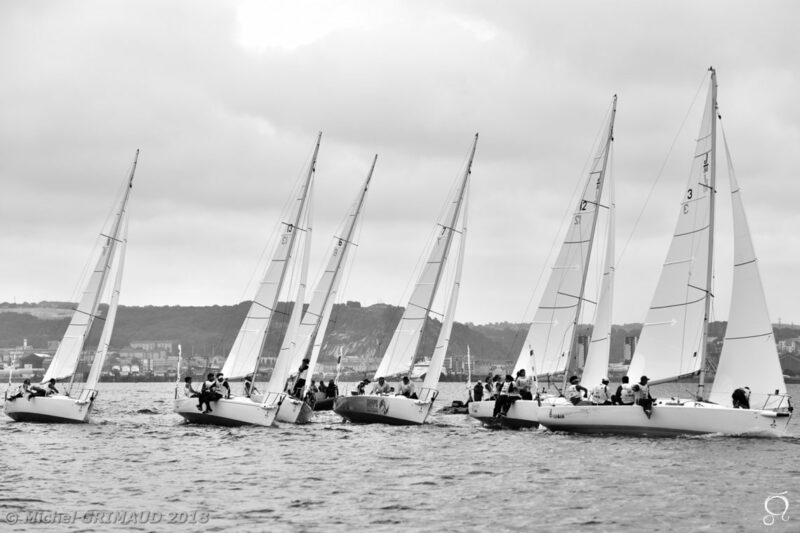 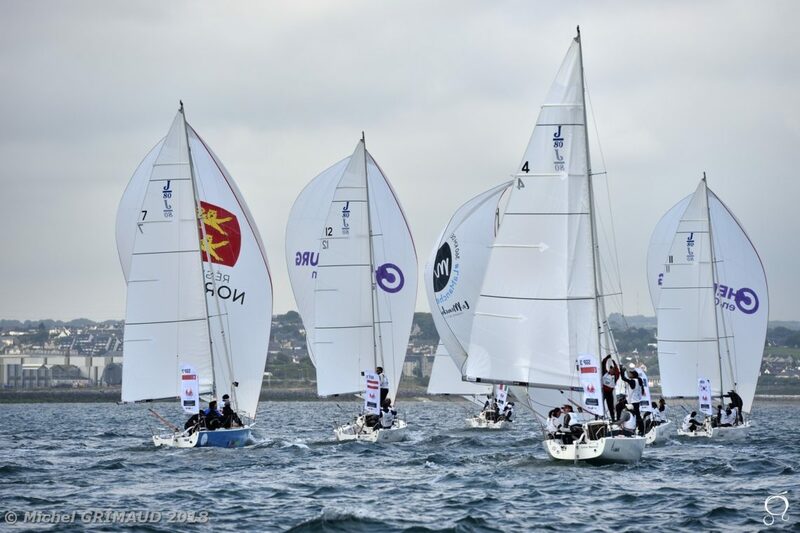 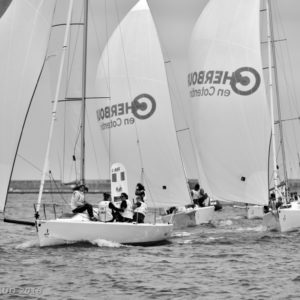 5 days of races of it World will have seen about 100 competitors of 10 different nations being in confrontation in the natural harbour of Cherbourg with dreamed conditions of navigation. 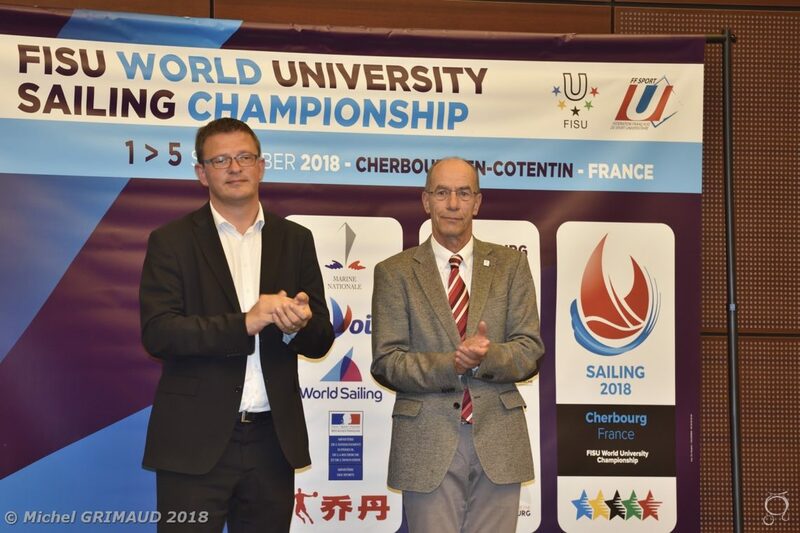 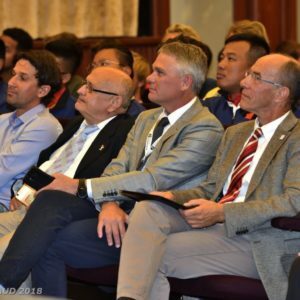 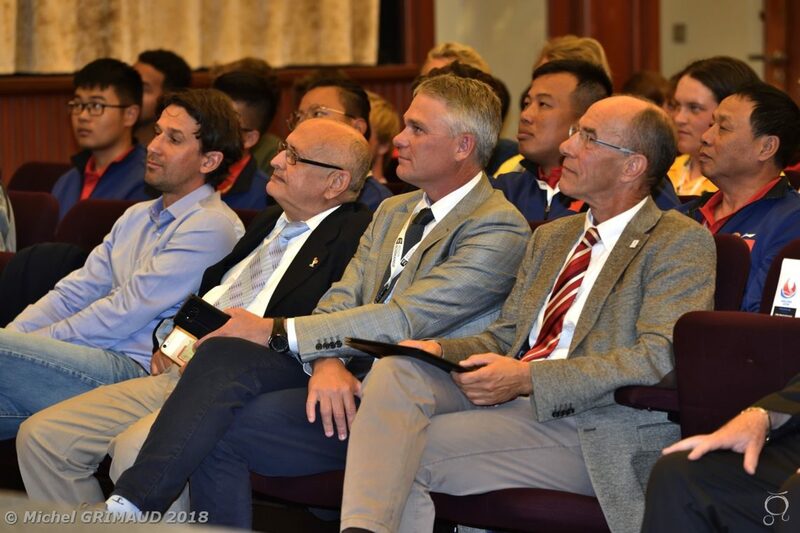 Rendez-vous in Lago di Ledro, Italy, for the next WUC Sailing in 2020!